The dust has settled. The Trump Tax Act has been finalized. Who stands to lose the most from the new tax rules? Those who live in a state with a high state income tax. That’s who. Prior to the Trump Tax Act, state income taxes paid were deductible against federal income tax. However, the Trump Tax Act limits the amount of the federal income tax deduction for state income taxes paid, real property taxes paid and sales taxes paid to a cumulative (yes, cumulative!) total of $10,000 per year. The $10,000 is used up for property taxes only for many of our clients. Therefore, state income taxes paid are essentially no longer deductible! But what if there were a way to avoid or minimize state income taxes? There is. It’s called a NING Trust. If you are an attorney, a CPA, a financial advisor, a trust officer or anyone else working in the estate planning area, you will need to master the NING Trust because this now arguably becomes the most important trust vehicle in the estate planning industry. The term “NING Trust” stands for Nevada Incomplete Gift Non-Grantor Trust. Transfers to the trust are incomplete for gift tax purposes which means that there is no gift tax for any transfers to the trust. However, for income tax purposes, transfers to the trust are complete and the trust is a non-grantor trust so that the trust pays all income taxes at its federal income tax brackets. Who is the Typical Client? The primary use for a NING Trust is to save state income taxes. Therefore, the typical client is a resident of a state with a high state income tax who is either selling a business or other asset that will have a large capital gain or who has an asset, such as a large brokerage portfolio, that has sizable distributions that would be taxed by the client’s home state if the client hadn’t set up the NING Trust. It is important to note that income earned by an asset, such as a locally-run business or local real estate, is considered sourced to the client’s home state and therefore cannot avoid state income taxes using the NING Trust. The trust must be sitused in a jurisdiction that has Domestic Asset Protection Trust statutes in order to avoid being a grantor trust for income tax purposes. Nevada is generally considered the leading Domestic Asset Protection Trust jurisdiction which is why it is also the leading state for these trusts. A NING Trust is simply a non-grantor Domestic Asset Protection Trust. In addition, the chosen jurisdiction must not have a fiduciary state income tax. That excludes many of the Domestic Asset Protection Trust jurisdictions, leaving only Nevada and a small handful of other states where this technique is viable. Unlike nearly every other estate planning technique, the NING Trust requires the client to give up some control. 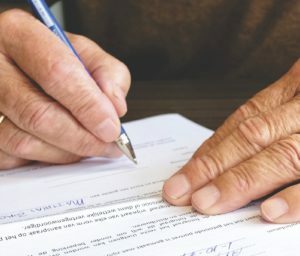 First, since the NING Trust can’t have any trustees who live in the client’s home state, the client can’t be a trustee and therefore loses direct managerial control over the trust assets. However, the client can retain the power to remove and replace trustees, so this loss of control is merely indirect control with the presumption being that the selected trustees will invest based on the client’s wishes. Second, the NING Trust must have a Power of Appointment Committee (also sometimes called a Distribution Committee) made up of adverse parties initially selected by the client from the potential distributees of the trust. This Committee makes distribution decisions either (a) by unanimous vote or (b) by majority vote plus the vote of the client. The client cannot retain the power to remove and replace the Committee members, so the technique does not work well for a dysfunctional family. The NING Trust isn’t limited to residents of states with a high state income tax rate. Many estate planners overlook the federal income tax advantages that can be obtained using a NING Trust. The federal income tax advantages are available to residents of states both with and without a state income tax. For example, the Power of Appointment Committee can sprinkle up to $15,000 (the 2018 annual exclusion amount) of income each year to each of the client’s children and grandchildren who may be in a much lower federal and state income tax bracket. This can be increased to $30,000 each year if the client is married. This can be done without using any gift tax exemption. But the Trump Tax Act gave us an interesting tool that will change the way many planners and clients think about tax planning opportunities. The Members of Congress seem to have forgotten the golden rule that no matter how high the estate tax exemption is raised, they must maintain a low gift tax exemption in order to avoid the transfer of taxable income to lower tax bracket beneficiaries without much concern for gift and estate taxes. Despite the paragraph above that focuses on $30,000 of income shifted per beneficiary per year, there is no reason our clients shouldn’t consider transferring $50,000, or $100,000, or $150,000. Each client will analyze his or her own situation and make appropriate decisions in this regard. Estate planning advisors will be busier than ever helping more clients than ever with NING Trusts. Knowledge of NING Trusts and how they work now becomes a necessary part of nearly every estate planner’s practice. 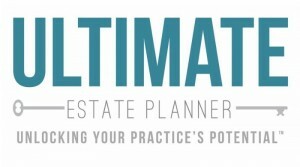 The Ultimate Estate Planner has a number of educational programs related to the Tax Reform that you may be interested in. 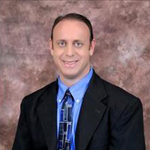 Also, if you would like more information about NING Trusts, you might be interested in Steve’s 60-minute educational program entitled, “The NING Trust: Saving Significant State Income Taxes for Your Clients in High State Income Tax Jurisdictions”. For more information, click here.